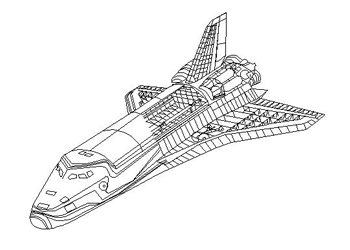 PLT or “plotter” files represent vector images created with AutoCAD or other computer-aided design software, using the HPGL language. PLTs are designed to be printed by plotting devices, such as flat-bed plotters or cutting plotters. As opposed to normal inkjet or laser-jet printers, which use separate dots for representing images, these machines use sequences of lines. PLTs are usually handled by architects, designers and engineers for printing building plans, machine blueprints or various project designs. HPGL stands for “Hewlett-Packard Graphics Language” and was initially used on HP plotter printers, before being adopted as a de facto standard for most of these types of devices. A frequent problem with HPGL is that it sends an arbitrary set of output lines to the printing device, lacking logical ordering. This means that the plotter or engraving machine spends more time skipping between lines than actually engraving, which makes the process longer and less effective. When you optimize PLT images, the line sequence transmitted to the plotter will contain a minimal amount of skips between line segments. This speeds up the process significantly! While processing optimized PLT files, the plotter or laser cutter will need to make less skipping and thus improve the overall time required and the quality of the print. 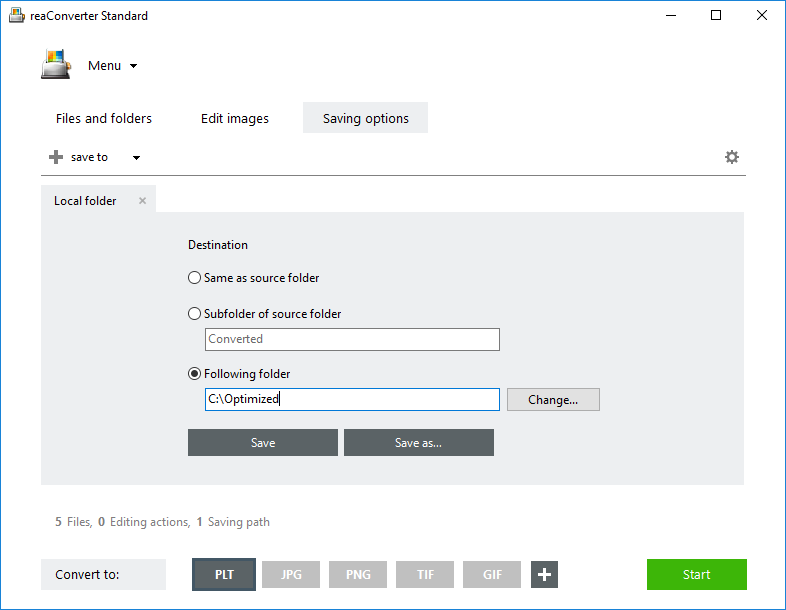 reaConverter allows you to do batch optimization of PLT images in no more than a few clicks. Add one or more images that need to be converted into optimized PLTs. They can be regular PLTs or almost any other type of image. reaConverter can read an impressive number of over 620 extensions, including most vector and CAD formats. 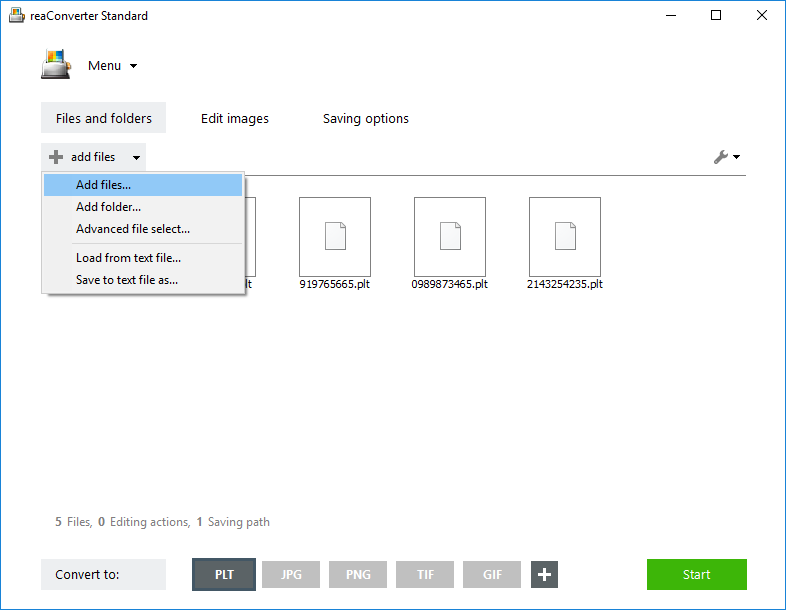 Files can be added one by one, manually, or as entire folders. A drag-and-drop option is also available. 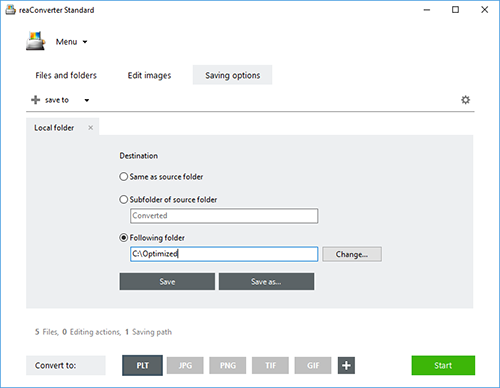 And to make the process easier for users who have to deal with large amounts of images, there is an Advanced file select option, which allows you to automatically pick a customized set of extensions from a folder. 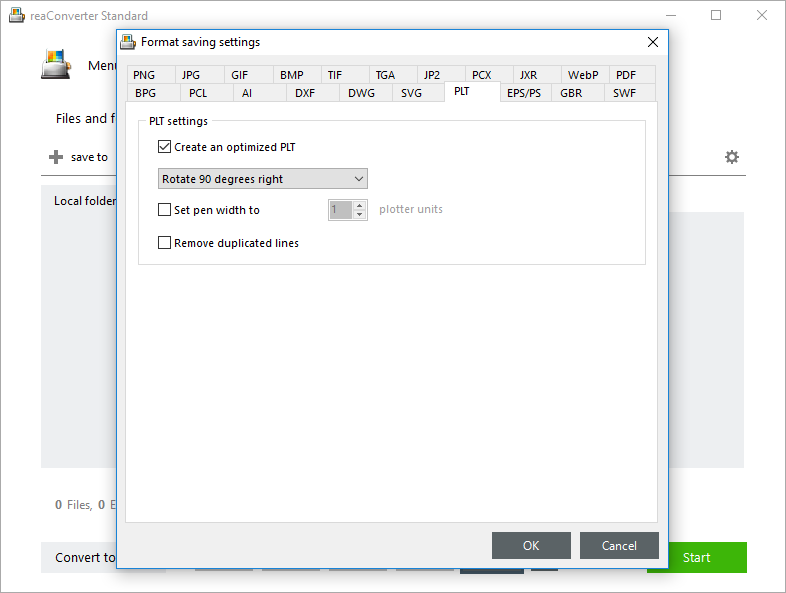 Go to Saving options and decide where you want to save the output PLTs. Pick the format of the converted files from the buttons placed in the lower part of the window. If PLT is not among them, click the Plus button and select it from the newly opened window. 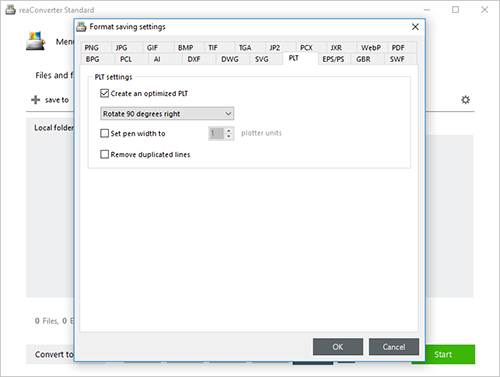 Here you only need to tick the available box for creating optimized PLTs. Then press OK and go straight to the Start button.